We're coming to get you, Barbara. This zombie short film is creative and beautiful. A friend suggested it to me, and I was glad I spent the few minutes it took to watch it. Short films can be a great way to ingest some brief bursts of entertainment, but I find that those in the horror genre tend to be of very low quality. This is an exception for sure. It’s from the 2013 Tropfest, which is an international short film festival that’s grown tremendously in popularity over the last decade and a half or so. Tropfest takes place all over the world each year (there are technically multiple “fests”) and this film showed at the Australian fest. Cargo was a finalist, but it does not appear to have won. The film was made by Ben Howling with Dreaming Tree Productions, something he refers to as a “filmmaking collective” on his website. It’s gotten quite a few YouTube views, and has also shown at the Northside Festival in Brooklyn, and the Las Vegas Film Festival, among others. It starts Andy Rodoreda. 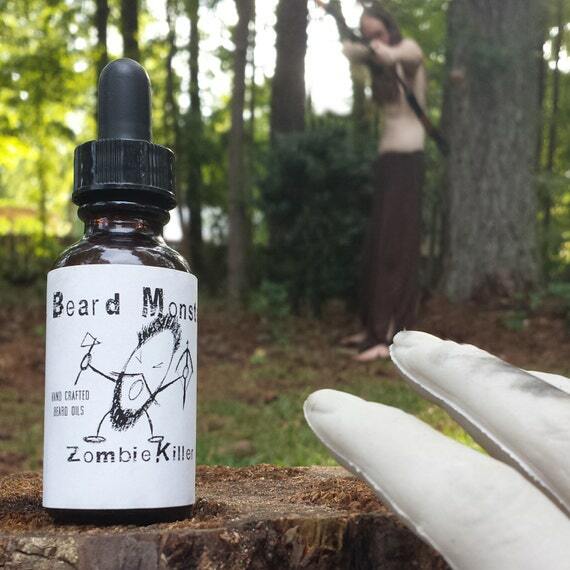 The official beard oil of zombie hunters everywhere!